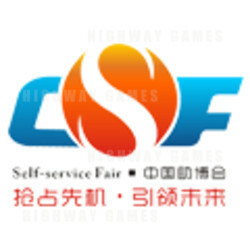 The China International Vending Machines & Self-service Facilities Fair (China VMF) 2019 will take place between the 26-28th of February, 2019 at the China Import & Export Fair Complex, Guangzhou. The China VMF 2018 exceeded its previous years in every aspect. With over 350 exhibitors, over 35,000 visitors and 30,000 square metres of floor space, the event was a success among visitors and exhibitors. Over 40% of exhibitors were either China-leading or world-leading in their fields, and thematic pavilions were broken into categories for vending & self-service machines, unmanned stores and commercial payment solutions for customer convenience. For the 3 days it was running, China VMF 2018 was the most talked about event in China's vending game on WeChat! This included raving reviews from exhibitors posted on WeChat moments, proving that they were having a great time. Visitors to the show included c-suit leaders, managers, directors, recommenders and others. Most were interested in vending machines, vending solutions & technology, unmanned stors, self-service machines, payment solutions and more. China VMF 2018 kept up with all the latest trends in the industry. Noticeable trends included unmanned stores, self-service parcel pick-up machines, mini vending machine and hot meals vending machines. The 5th Asia-Pacific Vending Industry Summit with 28 noted speakers, 9 countries presenting and over 300 audience capacity. Speakers included Phillip Barry, President of the Australian Vending Association, Aleksander Wasik, President of the Polish Vending Association and Chen Haibo, President of Deep Blue Technology. The APVA Awards with categories including Enterprises of Influence, Star Operators, Technological Innovation, Premium Quality and Sino-Japanese Bridge awards.